Making our hand crafted Hash is a labor of love. We use an eight bag hand processing system. Each bag collects a different quality Hash. 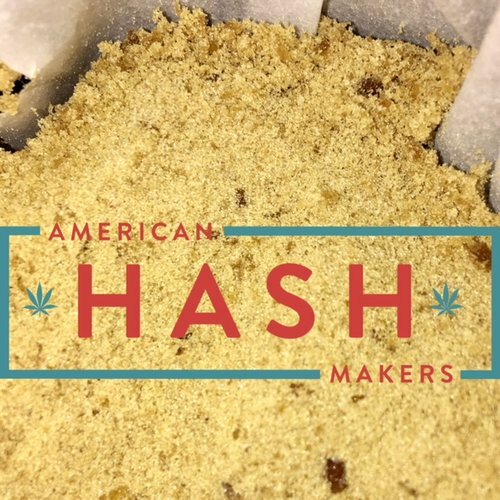 Full of flavor and terpene rich, American Hash Makers products will get you high every time! 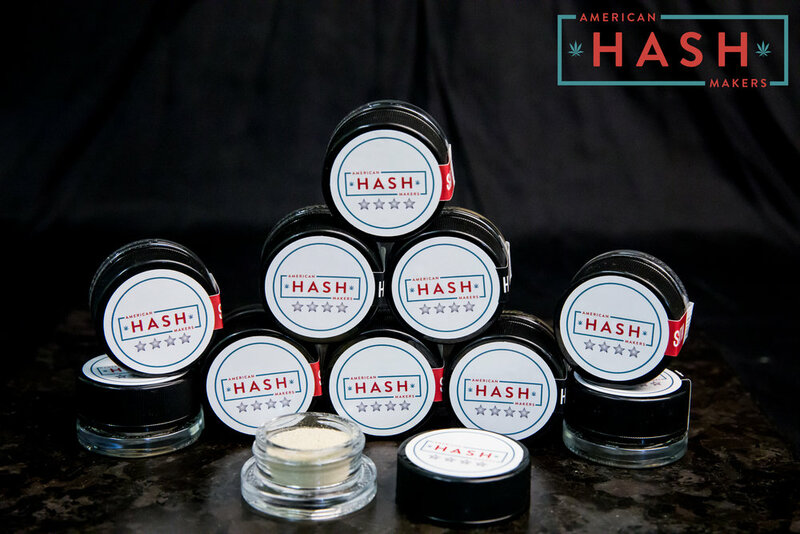 American Hash Makers 5-Star Full Melt is our highest quality hash. It is a solvent free hash that tastes excellent as a dab. A 2017 Terpestival Award Winner for Best Limonene Hindu Hash - an excellent introduction to quality hash! 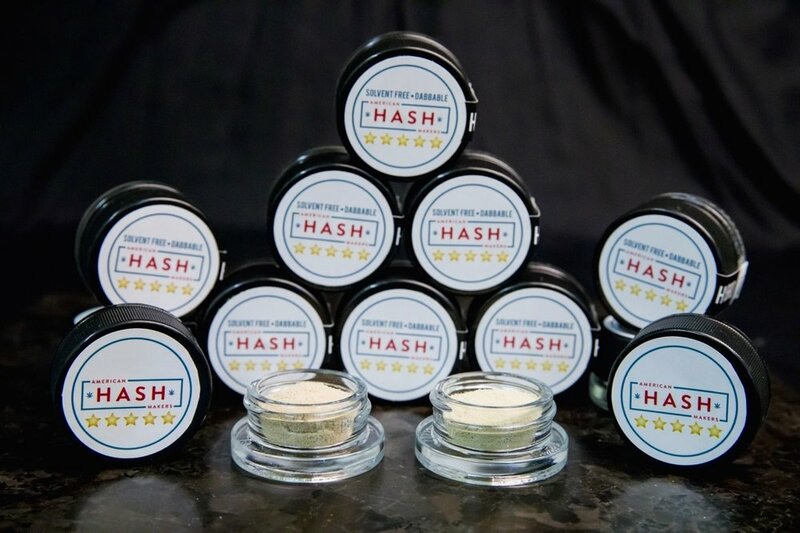 Our strain-specific 4-Star Hash is a great addition as a bowl topper or sprinkled in joints. Hippie Hash is our lowest yielding bag. It is our only non strain specific Hash. Perfect for those looking for a solvent free concentrate on a budget. Get trippy with the Hippie! 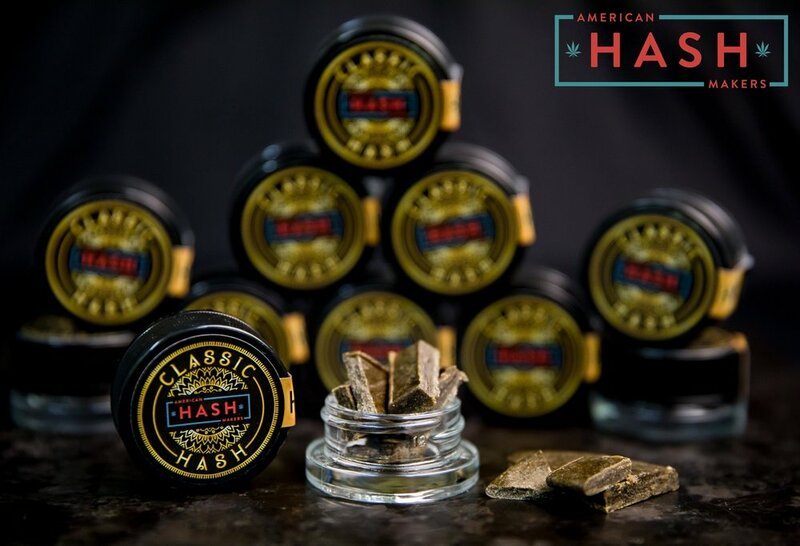 Indulge yourself in our solvent-free Classic Hash that is traditionally pressed through a Middle Eastern style process. 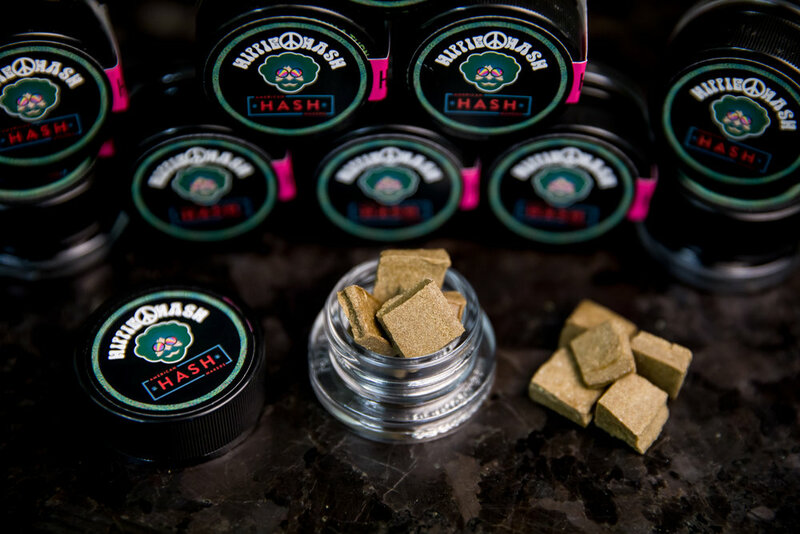 Our Classic Hash is a traditional pressed strain specific Hash. Smoke it alone in a Hash pipe or added to your next bowl or joint! Hang amongst the stars with our Stripes! A hand-wrapped, full gram flower joint intertwined with our five-star hash! Something our founding fathers would appreciate. D.R.U.G.S (Dank Rolled Under Government Supervision) - explicitly tailored for bad motherfuckers that want to get high. American Hash Makers' solvent-free moonrocks. Our handcrafted, solventless bubble hash is sandwiched between a gram of quality indoor buds and dusted on the exterior to provide a highly potent high every time. Let's smoke some D.R.U.G.S! At American Hash Makers, we're thankful to those who came before us. That is why we show tribute to ancient methods of extraction while integrating new styles into our hash making process. It was important to us to stay true to the hashish's roots - which is why all of our products are solvent-free. From Port Townsend to Yakima, we have several farms each specializing in our separate styles. By isolating resin heads using ice and water, the cold temperatures detach the trichomes resin glad around the stalk. The resin is heavier than water and sinks through multiple screens separating the plant material from the resin. This process isolates the different size resin glands according to the size. From there, we sift the resin from each individual screen. Anything that is dabbable is a 5-star grade or higher. Other consistencies are pressed using Middle Eastern methods from Afghanistan or Morocco. Using heat from light will pressurize the resin caps and coagulate the hash together to create a malleable texture. This hash is perfect for smoking bowls, joints, or by itself.